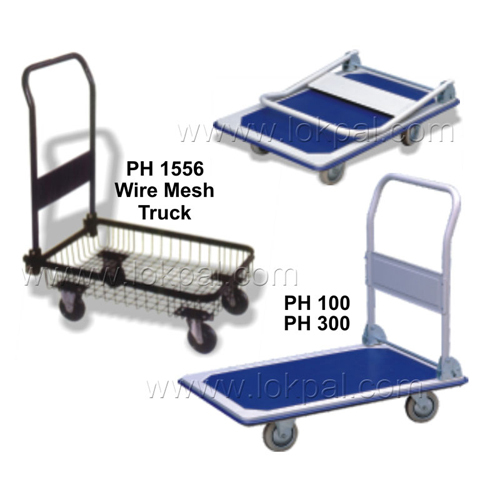 Chequered Platform Hand Truck is intended for industrial use. Sturdy Powder Coated Chequered Plate with anti skid platform. Revolving caster with wheel brake with removable handle. 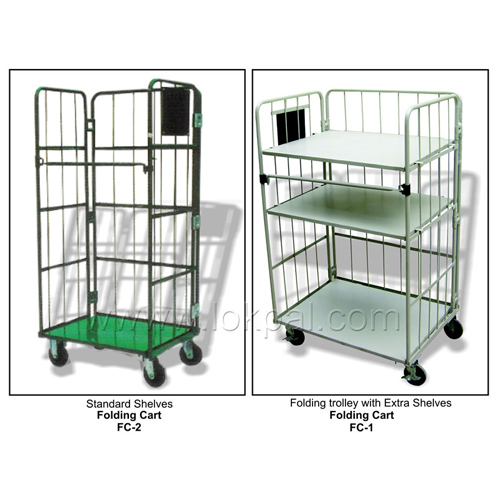 Folding Trolley is Compact storage, mobile folding trolley with shelves. 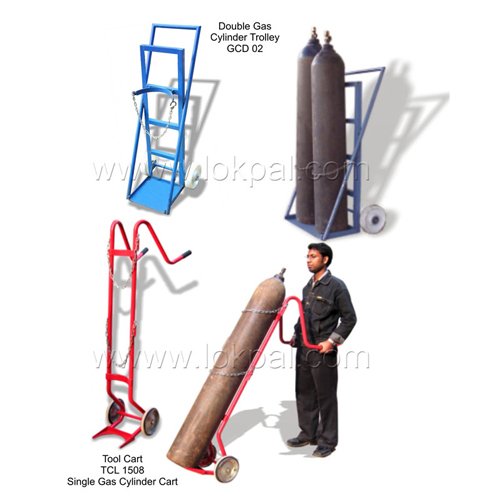 Gas Cylinder Trolley is useful for loading, unloading and shifting heavy cylinder from one place to another place. 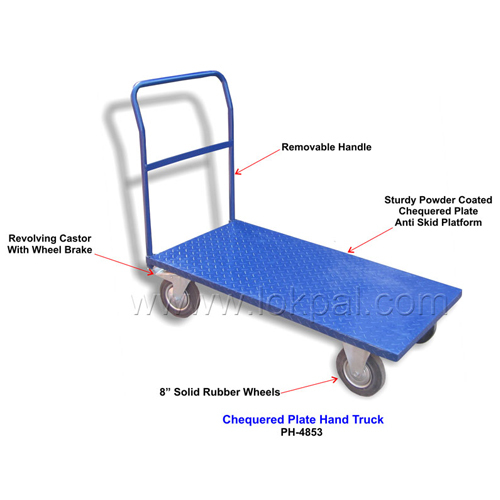 Platform Hand Truck Hand Trolley is intended for industrial use. Sack Truck is intended for industrial use. 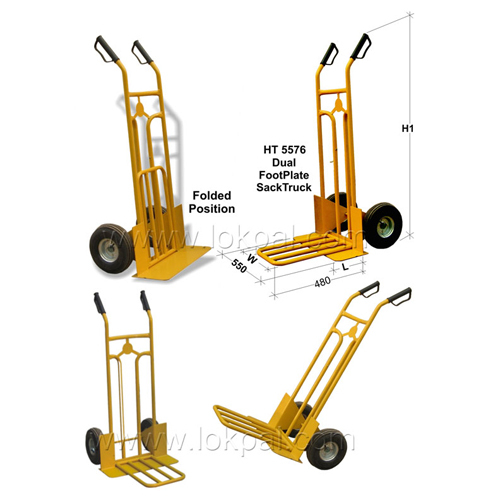 A very practical hand truck/trolley that easily climbs stairs, kerbs, doorsteps and similar obstacles very easily. 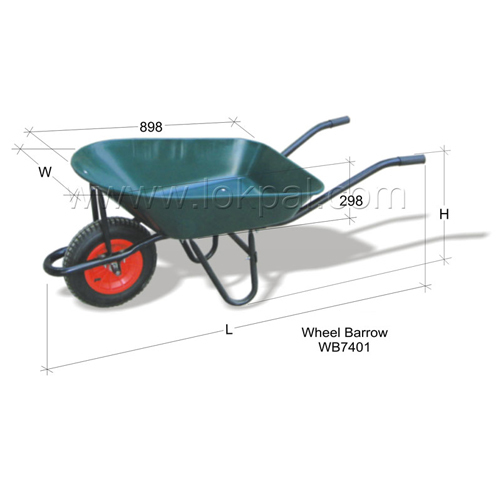 Powdered coated, light weight, Pneumatic wheels. 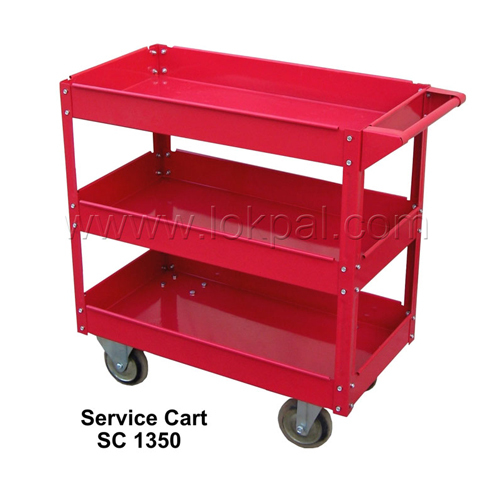 It is multipurpose equipment used to put light weight and small tools and service equipment/tools. Widely used in various industries and hospitals. Can be dismantled also. Light weight, with great strength. Used in many applications as per your requirements. All maximum carrying capacities are based for use on a steel surface which can withstand the pressure of the skate rollers. The load bearing capacity of the floor is as important as the capacity of the skates. The load should be supported on the skates in such a way that all skates on which the load rests are subjected to equal load. Movement on concrete floors is restricted and a steel plate of a minimum thickness of 12mm or as required should be placed on the floor. Never use the skates on an incline plane. U Shapped top platform. 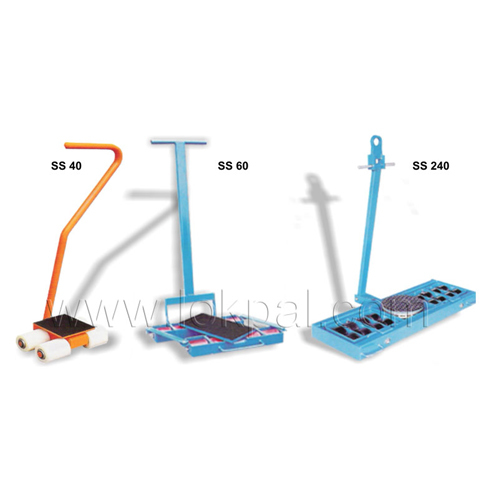 U-Shaped Pallet Weighing scale are specially designed for handling pallets thus (No Pit, No ramps) required. 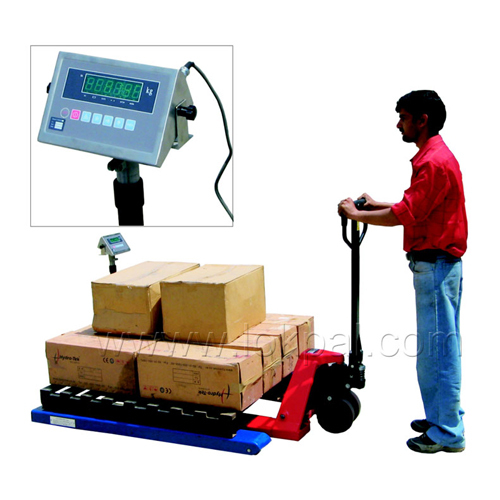 Very useful for weighing materials in warehouses, storehouses etc. Light weight, easy to omove for one person, with two wheels. Deluxe stainless steel indicator as standard.